Is homeschooling legal in my state? Is it expensive to purchase curriculum to teach your own children? How do I teach several children who are all different ages? What about teaching science and history in grades K-6? What curriculum resources are available to homeschoolers? 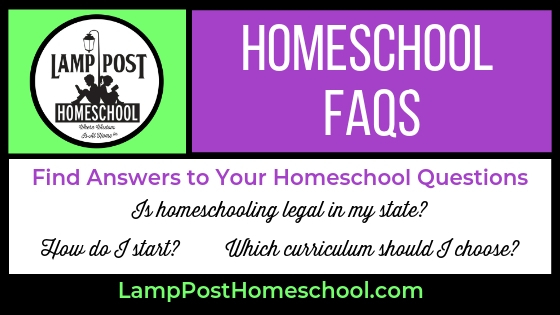 Q: Is it legal to homeschool in my state? HSLDA The Home School Legal Defense Association has information about homeschool laws in your state. They work to keep homeschooling legal in the United States and in other countries. You can place your order online with our shopping cart, by phone, or by mail. Most major credit cards and PayPal are accepted. Checks (United States funds only) are also accepted by mail or through PayPal. First of all, pray for wisdom. There is a wealth of information about homeschooling in the library, on the web, or in your local homeschool support group. So much is available that it can be overwhelming. The Lord will direct your steps if you ask Him. The Three R’s by Dr. Ruth Beechick. Presents the basics for parents of children from K to 3rd grade. Things We Wish We’d Known Compiled by Bill and Diana Waring Tips from veteran homeschooling parents! Beyond Survival by Diana Waring How homeschooling should be — not textbook bound. Teaching the Trivium: Christian Homeschooling in a Classical Style By Harvey and Laurie Bluedorn, who are parents of the authors of the Fallacy Detective and Thinking Toolbox. Find a Support Group or Start a Homeschool Support Group. Get connected with a local homeschool organization. Most of these books list contacts on a state level or you can try the Internet (which is probably how you found us!) Other homeschooling parents are a great source of encouragement and information. Q: Which curriculum should I choose? Most of our first time homeschool customers prefer to go with a complete curriculum—where everything is included. It’s helpful because you will know all the subjects are covered and you have all the teacher guides. After their first year or two, most homeschoolers are experienced, relaxed and inspired. They are ready to pursue curriculum that was specifically written and designed for homeschool families by homeschooling authors. This type of curriculum can be scary to a new homeschooler because there is so much freedom in selecting topics and methods of study. That’s why we try to include information in our product descriptions to help you make your curriculum selections. Are you a secular homeschooler or in a state where “non-religious” curriculum is required, we carry Houghton Mifflin Harcourt and Pearson to meet your needs. Both publishers have print and digital curriculum. You can contact us if you have questions. We will try to help or direct you to someone who can.